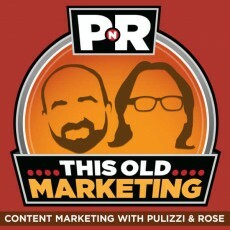 In this episode, Robert and I discuss whether or not brands will destroy the native advertising opportunity and whether you can actually program native to audiences. In addition, we banter about the Red Bull Media House model and how many brands will follow its publishing structure. Then, Robert rants and raves about the Dumb Ways to Die franchise, while I rant about the closed atmosphere at the U.S. Open before discussing the week’s #ThisOldMarketing example: BeingGirl from P&G. The Wrap’s Content Marketing Event (3:51): In this article, The Wrap recaps its first branded entertainment conference in New York City, which brought together brand leaders and brand creators to talk about the future of branded entertainment. Robert and I were both flabbergasted to see Madison Avenue acting like it just discovered this thing called content, which looks like it may disrupt their businesses. We also explored the article’s discussion of Red Bull’s Media House and how it’s likely to spawn imitators in the next several years. Panera Bread’s Agency Says the Job Isn’t Worth the Dough (14:38): Two articles from the St. Louis Business Journal announce that Panera Bread’s agency has quit the account, citing a difficult working relationship, and released Panera’s response to the agency’s leaked internal memo. What shocked Robert and me is the amount the restaurant chain is still spending on advertising, and what it could do if it invested even part of it in owned media, instead. We also discussed the reasons why big brands continue to shy away from investing in content marketing. How the Nature of News is Being Disrupted (24:11): News consumption patterns are in flux, thanks to the rise of sites like HuffingtonPost and BuzzFeed, plus a growing percentage of people are now accessing news via mobile devices. What’s the connection to content marketing? I believe these sites have been successful because they have a keen sense of who their audience segments are and the content they want to read. Can Content Marketing Balance Out the Technology Burden in Today’s Marketplace? (34:06): Seventy percent of marketers say their craft has become more challenging, despite — and in some cases because of — the new technology that’s available to them. This data comes from a survey by DNN, which was reported in the Content Standard Blog from Skyword. In Robert’s consulting work, he sees marketing executives struggling to get things done with the technology they’re using, and I’ve found a major disconnect between what marketers say their top priorities are and what they’re actually doing. Will Native Ads Save the Soul of Digital Advertising? (42:24): In a recent AdAge article, agency executive Nancy Shapiro questions if programmatic ad buying (using algorithms to automate the purchase of ads on websites) will destroy native advertising. I think it’s possible, and I explain why. Robert agrees, and points out what it takes for native ads to be effective — which can’t possibly be achieved via programmatic ad buys. This Old Marketing is once again sponsored by Emma — email marketing for the modern brand, featuring mobile-responsive templates, social integration tools and concierge services. 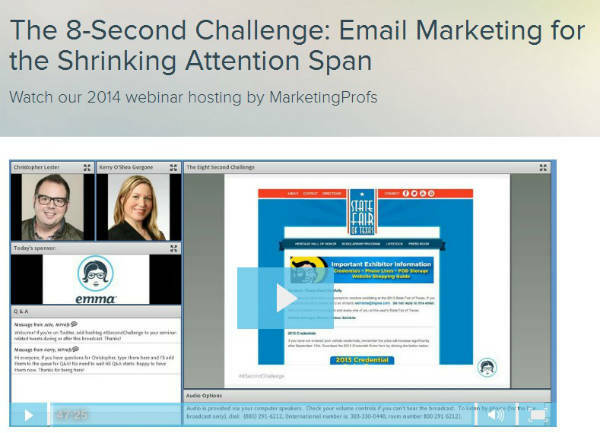 Emma is promoting a new webinar entitled, The 8-Second Challenge: Email Marketing for the Shrinking Attention Span. You can download it at http://bitly.com/pnr-emma8. Robert’s rant and rave: Empire Insurance in Australia has adopted the viral Dumb Ways to Die campaign to help it sell insurance, according to AdAge. Robert raved about the innovative way the campaign leverages existing content, but ranted about the fact that he hadn’t noticed until now that the creators of Dumb Ways to Die have started to license its characters and music to insurance companies around the world. My rant: I traveled with my father to the U.S. Open golf tournament in South Carolina over the weekend and was shocked at how closed this event is — you can’t even carry a cell phone into the tournament. By doing this, the USGA and PGA are missing a major opportunity to spread the word to a larger audience about these major golf events. BeingGirl.com from Procter & Gamble: As Robert was doing research for a consumer products client, he discovered that P&G’s BeingGirl has already been operational for 14 years. This content and community site has become a trusted resource to its target audience — adolescent women — by giving them advice and providing a place where they can ask questions and get answers. P&G has had even bigger success with Home Made Simple, which now has over 6 million registered users and its own TV show that recently debuted on Oprah Winfrey’s OWN Network. I agree that the company has become incredibly effective at building platforms for customer engagement.